The first time John Grasso, GABELLI ’99, rode in a Fordham University EMS ambulance was when he was carried off the football field, injured during a game. That ride would turn out to be the first of many he’d make—not as a patient, but as a member of the University’s student-run emergency response team. Grasso says he was so impressed by his fellow students’ quick and professional response to his health crisis that he applied to join the Fordham EMS team—known as FUEMS—as soon as he recovered. And the life experience he gained as an EMT was an education that was just as meaningful as his studies in business and law. Rising up the ranks, he was elected director of the club, a position that prepared him for his future career: Today, Grasso owns an ambulance company and emergency vehicle repair service in the Bronx, just steps from the campus where it all began. Reminiscing about stories like this made for lively conversations at the FUEMS’ April 1 gathering at the Villa Barone Manor in the Bronx to commemorate the club’s 40th anniversary. More than 120 students and alumni attended to celebrate the club’s evolution over four decades. What began with a handful of students who saw the need for an on-campus emergency response service in the 1970s and ’80s has flourished into a student corps of more than 200 members, 12 officers, and two state-certified ambulances, with collaborative partnerships with emergency service groups throughout New York City. One of the club’s original pioneers, Bruce Nedelka, GABELLI ’79, is now a certified emergency medical services officer, a title held by just over 100 nationwide, and a nationally registered paramedic and division chief and public information officer of the City of Virginia Beach. Those early efforts were followed by a few like-minded students, including Bill White and Dave Winters, both FCRH ’89, who were instrumental in formalizing the student club and purchasing its first ambulance. More recently, the student EMTs participated in the funeral procession for a Yadira Arroyo, a veteran FDNY EMT in the Bronx who was killed on the job in March. “This hit our organization hard, as a few of our members talked to Yadira at St. Barnabas during late-night shifts,” says Natalie Sturgeon, the club’s outgoing director, who plans to attend medical school to become a trauma surgeon. 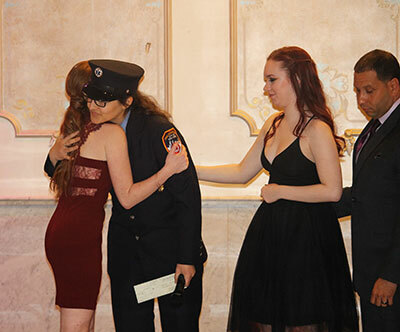 In the spirit of fellowship for their fallen colleague, FUEMS and Emergency Aid Training—the group that provides FUEMS EMT instruction—announced their donation to a fund for Arroyo’s five children at the anniversary celebration, a gesture that was met with a standing ovation when the gift was accepted by an FDNY union official. Father Gregory Rannazzisi, FCRH ’05, a former FUEMS volunteer, gave a blessing at the dinner and asked for a moment of silence for the late Father Joseph Currie, S.J., former FUEMS chaplain. Many student EMTs join the club to gain state certification and hands-on experience for future careers in the health professions. Training is intense and includes a semester-long course, with classes held at night and on the weekends, and exams that lead to New York state certification. 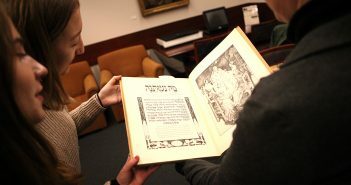 With an influx of volunteers over the past two years, students commit to two shifts each month, but can request more. 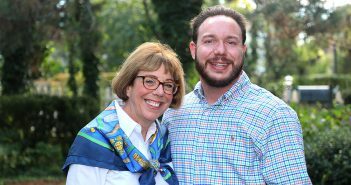 The reward of doing work that saves lives attracted Matthew Niehaus, FCRH ’09, to become a FUEMS volunteer while he was a pre-med student at Fordham. Today, the Cleveland native is completing a medical residency in Philadelphia, and he will continue on to a critical care fellowship in Pittsburg. Mickaela O’Neill, FCRH ’15, felt she was destined for a career in the medical field when she arrived at Fordham, but after four years with FUEMS she shifted gears from becoming a doctor to becoming a physician assistant so she could spend more time with patients. Now in graduate school at Midwestern University in Arizona, O’Neill adds that even compared to other EMS teams she’s served with, the friends she made at FUEMS were more like family. Unlike O’Neill, current FUEMS chief Heather Cahill wasn’t necessarily planning on a career in medicine when she arrived at Fordham. She was a dancer in high school and considering a career in the performing arts. But the Fordham College at Rose Hill junior—just elected for her second year as chief—has decided on a career in forensic science. Responding to campus calls ranging from diabetic emergencies to anaphylactic shock to sports injuries, seizures, and fevers helped confirmed her career path.